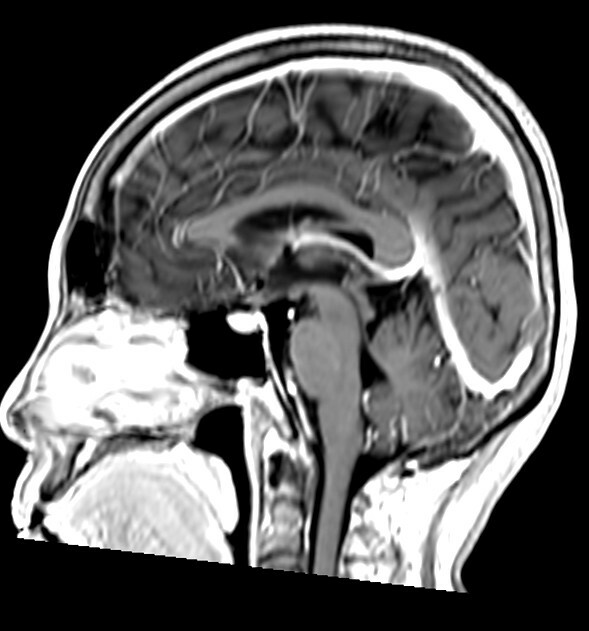 Magnetic Resonance Imaging provides highly detailed pictures of anatomy and pathology to help evaluate a wide range of conditions anywhere in the body. 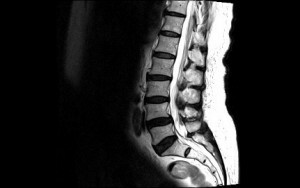 MRI uses a strong magnetic field and radiofrequency pulses to produce clear and detailed pictures. 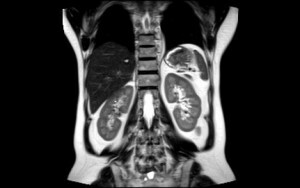 MRI does not use ionizing radiation and does not involve x-ray exposure. 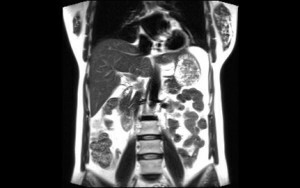 Detailed MR images allow physicians to better evaluate various parts of the body and determine the presence of certain diseases that may not be assessed adequately with other imaging methods such as x-ray, ultrasound or computed tomography (CT scanning). • Brain for headaches and other neurologic conditions. • Spine for neck and back pain and injury. • Musculoskeletal joints for pain and injury. • Organs of the chest and abdomen—including the heart, liver, kidneys, pancreas and adrenal glands. • Pelvic organs including the reproductive organs in the male (prostate and testicles) and the female (uterus, cervix and ovaries). • Blood vessels (MR Angiography). On the day of the exam, you may eat normally. Take all of your prescribed medications as directed. You should wear loose, comfortable clothing, avoiding garments that have zippers, belts or buttons made of metal. You may be asked to wear a gown during the procedure. An MRI uses a strong magnet, so you will be asked to remove your watch, and any other jewelry, hairpins or metal objects. You may also be asked to remove any makeup you are wearing, as some brands contain trace amounts of metal. You should tell the technologist if you have a pacemaker, brain aneurysm clip, hearing implant, and/or metal fragments near the eye as they may potentially pose a risk depending on their nature. Women should always inform their physicians and technologist if there is any possibility that they are pregnant. You will be comfortably positioned on an exam table that slides into the MRI scanner. The technologist will perform the MRI sequences at the control unit in an adjoining room. You will be able to communicate with the technologist by means of an intercom, and music or earplugs will be available for your comfort. 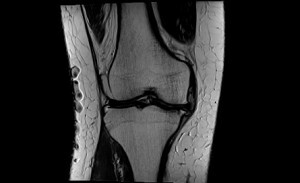 MRI exams include multiple runs (sequences), some of which may last several minutes. Some MRI examinations may require you to receive an injection of contrast dye into the bloodstream. Depending on the type of exam, the entire exam is typically completed in 15 to 45 minutes.